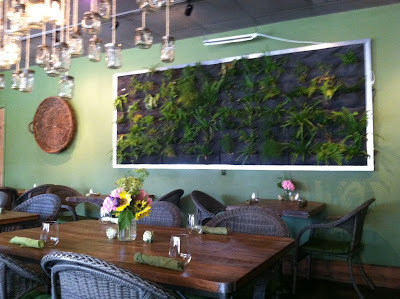 I recently tried Fern, Flavors from the Garden, a purely vegetarian restaurant on Central Avenue. My mom was very excited to bring my grandmother here since she keeps Kosher and does not eat meat when she goes out. Fern is owned by the Something Classic / Halcyon folks. Halcyon is on my "to-try" list and Something Classic is great for lunch - love their new location on East Blvd. and their awesome take-home products and baked goods. Fern's dining room is fairly small, with plants (including ferns of course!) providing a calming decor. Hanging mason jars add to the homey, farm-inspired ambience. Our experience with Fern was mixed. We wanted to much to love this place but we ended up leaving feeling disappointed. Of course this is based on one meal and I would like to try more of the menu items offered but first impressions mean a lot. 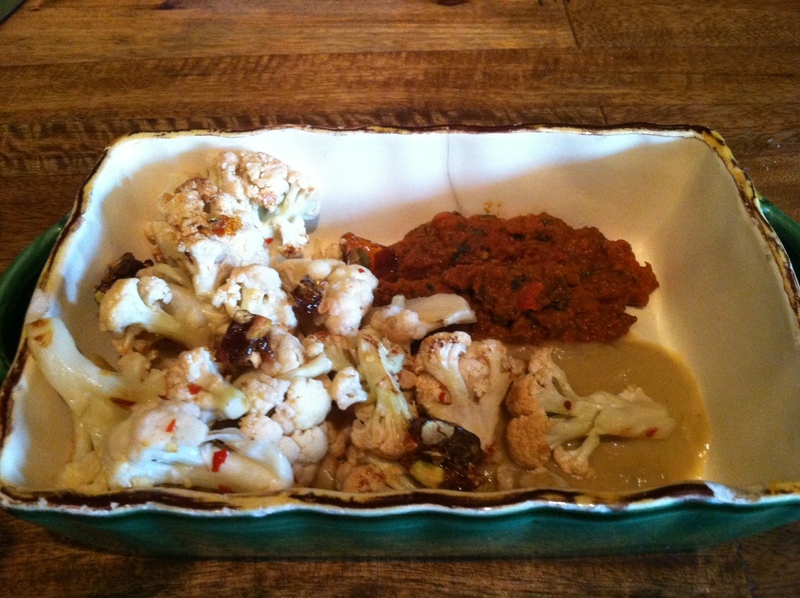 Our party of three tried several things, taking recommendations from our somewhat aloof server. 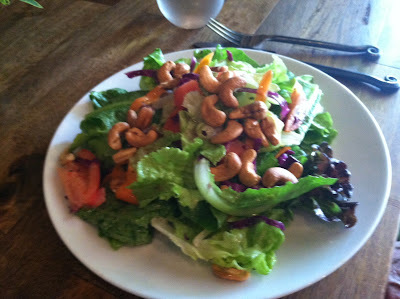 The highlight for me was the fresh Fern salad with cashews and a delicious herbed vinaigrette. Suggestion: serve some bread on the side. With the addition of avocado and cheese (available to add at additional charge) and some good bread, this would really hit the spot. The roasted cauliflower was my second favorite menu item we tried. The pistachio-pepper brittle added a nice sweet crunch and the squash/sun-dried tomato purees provided additional highlights. You can sense the chef's creativity here, which I appreciate. The disappointments came with the veggie burger and the eggplant/zucchini parmesan. To me the veggie burger was just not that flavorful. I've had veggie burgers made with nuts that tasted so much better. Also the bun was so huge you could not eat this as a burger. I ended up giving half the bun to my mom (to have with her salad) and cutting the rest with a fork. This could easily be fixed with a smaller bun. The NC Hoop cheddar did add a nice flavor to the burger so if you are not vegan I definitely suggest cheese. The quinoa salad tasted like quinoa with lemon juice to me - the balance of flavors was off. 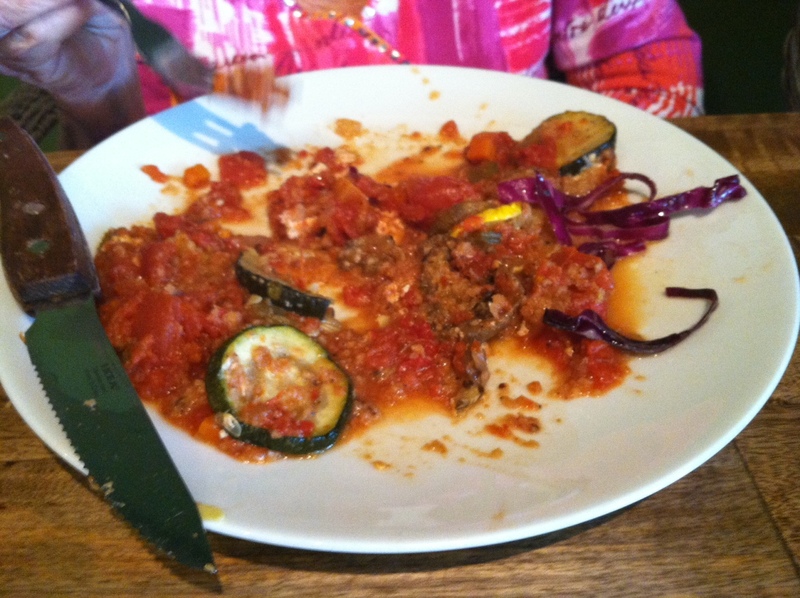 The eggplant/zucchini parmesan sounded so delicious but there were a couple of problems. First, grandma had a really hard time cutting it up in the bowl it was originally served in. The problem was that the eggplant skin was tough to cut and getting to it in the bowl was difficult. We finally asked the waiter to put the dish on a plate which he hesitated to do because "it would ruin the presentation". Well.... since she could not eat it that way I don't think the presentation really mattered anymore! The dish was also underspiced to me and although there was ample cheese it did not seem well incorporated with the dish - either you got a huge chunk of cheese or veggies with tomato sauce. There are several other menu items I'd like to try at Fern including the beet tagliatelle and the Tribal tacos as well as the arancini. There is really a wide variety here so hopefully next time we will have better luck with the food. In May a Farmer Dinner was offered which sounds fun as well - perhaps they will offer this again soon. 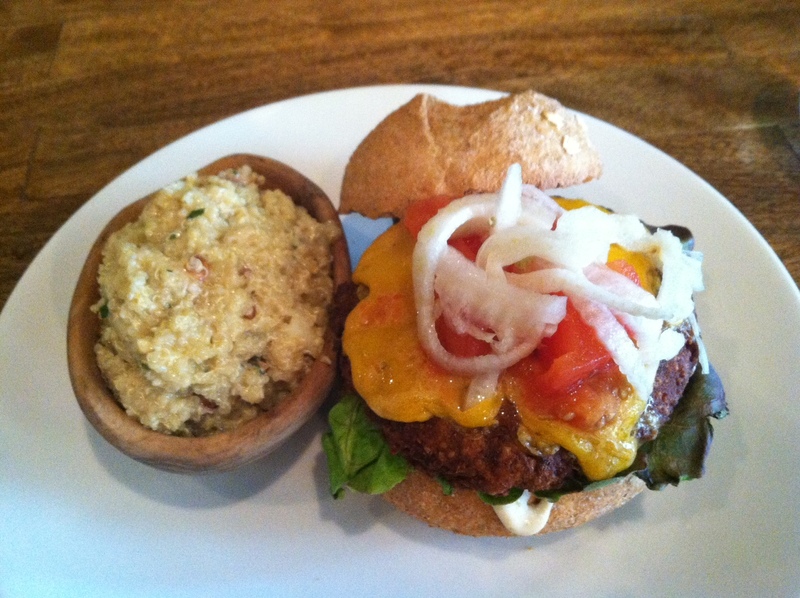 OM Burger with NC Hoop Cheddar and quinoa salad. Deconstructed roasted eggplant and zucchini parmesan.